Setting the idle on your Ford Mustang can be a daunting task. It's actually an easy, less than 10 step process! Follow along as we walk you through setting the idle on your Mustang! Please Note: These steps MUST be performed in sequence!! 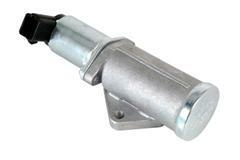 Get engine to operating temperature. Disconnect IAC (Idle Air Control) Solenoid. If engine stalls, turn throttle-stop screw in one full turn and restart. Repeat as necessary until engine will idle with IAC unplugged. Set idle using throttle stop. Idle speed will vary depending upon modifications made to the engine. Set to where you are comfortable with idle speed. 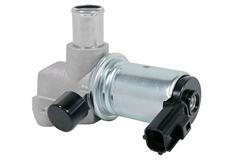 Set TPS (Throttle Position Sensor) anywhere from .96 to .98 volts. This is done by loosening the mounting screws, and lightly rotating TPS. If you cannot obtain the desired range, you may need to make the mounting holes slightly larger. This can be done by drilling them. TPS wire colors to be probed are generally BLACK and GREEN wire or the GRAY/RED and GRAY/WHITE, depending on your vehicle. Stop engine. Disconnect negative terminal battery cable for 15-20 minutes. You may wish to tap the brakes or turn the headlights on and off a few times as this will help to ensure that you have purged any remaining electrical current from the vehicle. If problem persists, inspect for mass air meter problems and possible vacuum leaks.